Over the last few months, Ultra168 has been bombarded with gear for review and one that we’re always keen to explore is nutrition. The first cab off the rank is 32gi a newcomer onto the ultra-racing scene. Here at Ultra168, we have long been proponents of Hammer nutrition, and we still are, but in a bid to drive further impartiality through the website we decided to step-down from the Hammer athletes initiative so that we could test and trial other brands to make comparisons in the Aussie market. 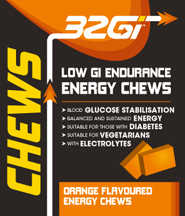 32gi was introduced to us, by Victorian old-timer, Dave Eadie who used it on his Badwater run last year. In for a penny, in for a pound we thought, and a few weeks later a batch of the goodies arrived at Ultra168 towers for testing. When we embark on races and in our training too, nutrition can be very hit and miss as it’s often an after-thought for most newbies to the sport. I’m sure there are many North Face entrants, who with a week to go are only starting to think about what they’ll eat and drink during the race, when really it should have been tried and tested for months beforehand. As runners, we’re great at focusing on the running part and the physical fitness side of things, but perhaps forget that to actually keep our bodies going, the fuel we put in it is just as important, if not more so. Sometimes we have races where we get it right and everything goes brilliantly to plan. More often than not though, we’ll experience bad stomachs, have sugar highs (and lows), and sometimes even vomit by not understanding just how many calories or types of food we need to consume when we run. But in recent years, it’s fair to say that ultra runners have gotten a little smarter about what it is they’re putting in their mouths for the long haul races we participate in. 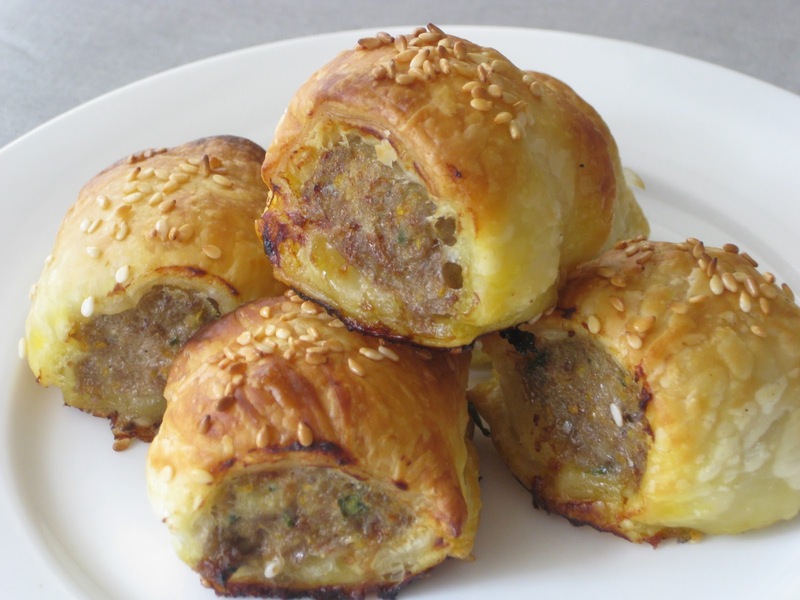 When I first started out, my delicacy du jour tended to be sausage rolls. But then I decided to get a little more serious and give my belly a break and look at what was best for it. Three different types of endurance products in the form of a powdered drink to use during runs, endure tabs and the energy chews. Although limited to just four, I have to admit to being quite impressed with the range of flavours you can choose from and didn’t get bored while training for Six Foot Track. For runs of between 1-4 hours, this stuff is smack on. I can see that for anything longer like 4-10 hours training, those who tire of the sweet stuff might want a different taste in the mouth. But these are good – and here’s why. Of the three products, I got most of out the tabs. They come in tubes of 10, each containing 50 calories per tab, but whats great about these is the ability to carry essentially 2 hours of food in a compact tube that’s very easy to move about with you. For 6ft track, I stuffed two tubes into a back pocket of my shorts and hey presto I had 1,000 calories to hand, with little to no weight impact. 1 pack is equivalent to 2 small bananas or potatoes in calories. Equivalent energy of 3-4 gels sustainability. I also had the opportunity to try out the Recover product in the form of a powdered drink which is blend of 100% vegetable protein isolate combined with carbohydrates. 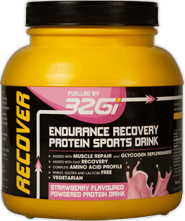 This stuff is designed with a 1:2 protein to carbohydrate ratio to ensure that you get the required amount of protein after a hard session and not an excessive amount of carbohydrates. Overall, this is a welcome addition to the nutrition market and the flavours and tastes of the tabs and chews sit well with me, but I understand it’s also very much a personal preference when it comes down to what you like – personally I’m a big fan of Peach and Raspberry. I think if you’re looking for nutrition for anything up to 5 hours, these guys do a very good job. Over and above that, you might want to consider adding other flavours to your backpack, but if you’re into your fruity flavours, these would be a good start. *As always with Ultra168 we are totally transparent with our declarations. 32GI provided the nutrition to us for free to test for the purposes of this review, but they have no influence over the article or how we report on the product. No-one at Ultra168 has any commercial arrangement with 32GI – this review is done independently and based on our own thoughts. What are the actual gram/ mg amounts of nutrients and electrolytes in the tabs?